The use of odoriferous molecules in skin care is not a very recent process. Indeed, for a very long time, the use of this type of substance has been common, both in hygiene products and in facial care. What our elders called essences have long made it possible to produce this type of product. This practice has gradually disappeared in favour of much better defined targeted molecules, known as active ingredients, which are mainly aimed at biological targets of the skin. However, some have kept in mind the idea that these substances may be of interest. This is exactly the case for essential oils widely used in applications of this type. But little by little, two categories of substances have distinguished themselves: those that do good and those that smell good! Few projects attempt to reconcile these notions. When the Filorga brand, positioned on the axis of melodies, wanted to develop fragrance products, it sought a specific original approach so as not to fall into the plagiarism of making one more alcoholic perfume. 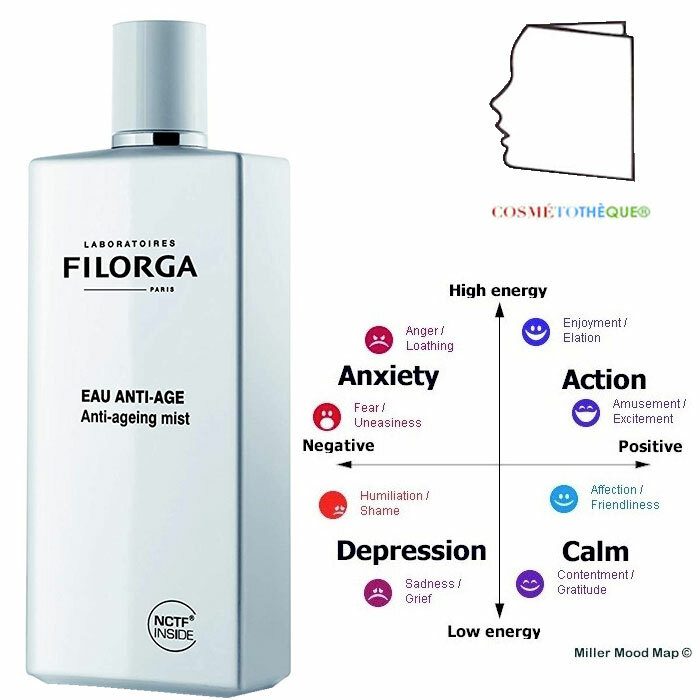 To do this, Filorga has developed a fragrant mist that combines neurosensory effects and skin active ingredients with a proven biological effect. Ultrafine, ultra-light, vaporous, Filorga’s Anti-Aging Water is an alcohol-free skin care mist that diffuses two effects on the skin. • Actiscents™ Filorga, aromatic extracts with anti-elastase, anti-hyaluronidase and antioxidant properties, to preserve the skin’s essential molecules. Supporting evidence was obtained new in vitro tests performed by a laboratory specialized in Aromacosmetics. Aromacosmetics, a relatively young science, makes it possible to study the hidden cosmetic properties of perfumery ingredients. Because if perfumes have an effect on olfactory cells, they also have an impact on skin cells… Once each ingredient has been peeled, scanned and tested in the laboratory, they can be recombined together, depending on their complementary or synergistic properties, to form customised “active fragrances”®. • NCTF™, the star formula used in mesotherapy by aesthetic doctors to stimulate the production of new collagen fibres and stimulate a new dynamic in the skin. 2) A neurosensory effect thanks to a fresh, invigorating, enchanting fragrance that energizes and strengthens self-confidence. 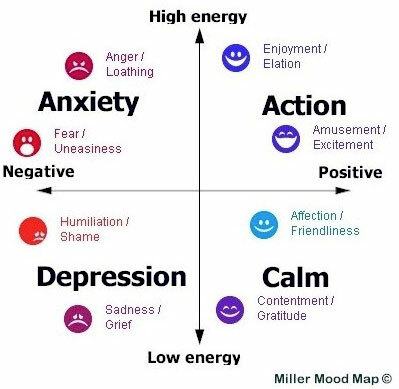 Measurable effects thanks to new tools such as “Mood Mapping” which notes emotional reactions to fragrances and “Mood Portrait” (which explores the unconscious link between fragrances and emotions by combining images with fragrances to express emotions). INCI : Aqua, Parfum, Dipropylene Gglycol, Decylene Glycol, Sodium Chloride, Tetrasodium EDTA, BHT, Helianthus Annuus Seed Oil, PPG-1-PEG-9 Lauryl Glycol Ether, Quillaia Saponaria Bark Extract, Methylisothiazolinone, Polysorbate 80, Glucose, Potassium Chloride, Calcium Chloride, Magnesium Sulfate, Glutamine, Sodium Phosphate, Sodium Acetate, Ascorbic Acid, Lysine HCl, Arginine, Alanine, Histidine, Valine, Leucine, Threonine, Isoleucine, Tryptophan, Phenylalanine, Tyrosine, Glycine, Serine, Deoxyadenosine, Cystine, Glutathionne, Cyanocobalamin, Deoxycytidine, Deoxyguanosine, Deoxythymidine, Asparagine, Aspartic Acid, Ornithine, Glutamic Acid, Nicotinamide Adenine Dinucleotide, Proline, Aminobutyric Acid, Methionine, Taurine, Hydroxyproline, Glucosamine, Coenzyme A, Gluconolactone, Sodium Glucuronate, Sodium Uridine Triphosphate, Thiamine Diphosphate, Disodium Favine Adenine Dinucleotide, Nicotinamide Adenine Dinucleotide Phosphate, Retinyl Acetate, Inositol, Methyldeoxycytidine, Niacin, Niacinamide, Pyridoxal, Pyridoxine, Biotin, Calcium Pantothenate, Folic Acid, Riboﬂavin, Thiamine Diphosphate, Tocopherol Phosphate, Citral, Citronellol, Geraniol, Limonene, Linalool. NB: the list is quite long given the presence of NCTF, which is a single ingredient in itself. In addition, the formula has been modified to take into account regulatory developments, in particular with regard to the preservative system.